Jeffrey King, Scott Soames, and others have recently challenged the familiar identification of a Russellian proposition, such as the proposition that Brutus stabbed Caesar, with an ordered sequence constructed out of objects, properties, and relations. There is, as they point out, a surplus of candidate sequences available that are each equally serviceable. If so, any choice among these candidates will be arbitrary. 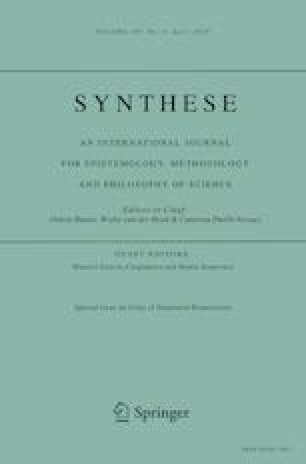 In this paper, I show that, unless a controversial assumption is made regarding the nature of nonsymmetrical relations, none of the proffered candidate sequences are in fact adequate to the play the role. Moreover, as I argue, the most promising alternative theory of relations—one that avoids the problematic assumption and, in addition, fits most naturally into the sequentialist’s framework—fails to meet a basic requirement: it cannot distinguish between the proposition that Brutus stabbed Caesar and the proposition that Caesar stabbed Brutus. The upshot is that the conspicuously structured entities that are widely assumed to be up to the task of “playing the proposition role” shed no light on the very structure they are invoked to represent. Donnelly, M. (2016). Positionalism revisited. In A. Marmodoro & D. Yates (Eds. ), The metaphysics of relations. Oxford: Oxford University Press. doi: 10.1093/acprof:oso/9780198735878.001.0001. Williamson, T. (1985). Converse relations. Philosophical Review, 94(2), 249–262. doi: 10.2307/2185430.